Greeting Card Special! 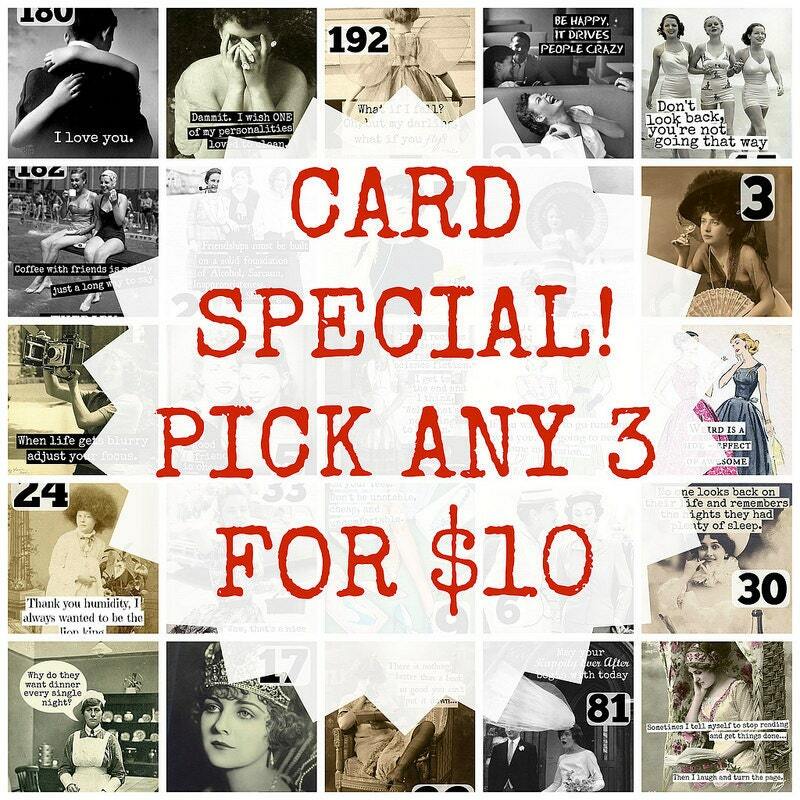 Choose any three cards in my shop for $10. Just let me know which 3 you'd like at the checkout. Easy-peasy! These cards have been left blank inside, measure 4-1/4 x 5-1/2 inches, comes with matching envelopes and wrapped in protective sleeves. Love this deal ..3 amazing unique cards for $10. Always quick delivery too. Used this special to buy a dozen cards. They arrived quickly, with all cards accounted for, and excellent quality. I’d definitely order again! If you want a good chuckle, spend time scrolling through these cards. I guarantee they will be a day brightener! I've purchased several of them and am always interested in seeing what new ones Jennifer has come up with. The cards were sent out immediately so I received them in plenty of time. Thanks for such a great transaction and so many laughs!